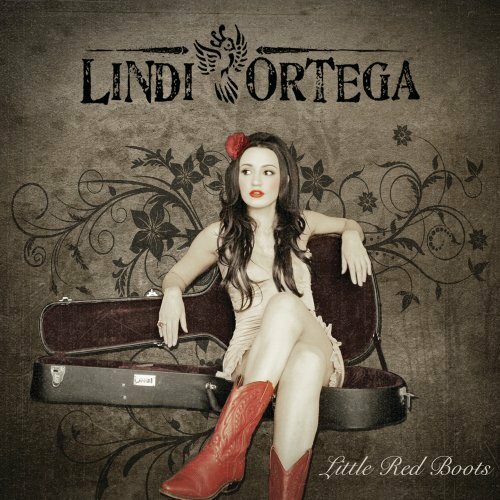 Back in September, I briefly blogged (see here) about Canadian songstress Lindi Ortega who was set to both release her third studio album - Little Red Boots - and play the cosy upstairs room in Whelan's. Just four months later the country-lovin', honky-tonkin', red boot-wearin' Ortega is back in the country for a gig in a larger venue (Dublin's Sugar Club). The G-Man caught up with the alt-country chanteuse to see how things are in the world of Lindi Ortega. Little Boots was released last Summer and you have toured extensively since with no signs of letting up. What kind of reaction have you had to the album/tour? Lindi Ortega: The reaction has been killer! Everyone has been so receptive and the audience is slowly building. It's all very exciting for me! What countries have reacted the most positively? Just found out the other day that Germany is one of my best markets. I'm so glad I learned those few phrases in German so I could talk a little to the audience when I went there on my last solo tour. Your current European tour takes in over thirty cities. Do you tend to pick up any keepsakes/trinkets in each city/country that you visit or do you have any traditions that you upkeep when you arrive in a new location? I have a thing for fridge magnets - the weirder the better! So I always try to find cool weird magnets from wherever I go. I also like those mini snow globe things that you shake. Do the little red boots smell yet? Like roses and angel breath.. obviously! Much has been written about the vibrant music scene in Canada (and Toronto especially) over the past few years. With so many great artists/bands located in the same place did you find that makes it difficult to stand out? Well I think I actually stood out because I was making country-ish kind of music and Toronto is more of a singer/songwriter and indie rock kind of scene but it hasn't been easy for me to get recognition. It's taken many years and a good team to help me get exposure. Congratulations on winning Best Film for 'Angel' at last year’s iPhone film festival. The video shows what can be done on a low budget when you think outside the box doesn’t it? I had no idea what I was doing I just knew I wanted to try it. I think it's important if you want to try something to just go for it. If you fail at it at least you tried. I tried and I won Best Music Video. First music related thing I've ever won! I was really excited about it. I really liked the accompanying iphone video and your comparison of yourself to Albert Camus’ interpretation of Sisyphus. In your 10+ years of touring have you ever come close to throwing in the towel? Oh yeah, I've tried to pack it in a few times because I literally felt like I was spinning my wheels along the way. But I think when you really and truly love something the reason you do it is because it makes you happy, and for no other reason than that. So you see, I couldn't quit because I loved it too much to ever give it up. "Well I think I’ll drink myself right back to asleep when I awoke no one was missing me. I will be lonely til the day I die then all the angels will be by my side"
- remind me of the bone-chilling story recounted recently in the movie Dreams of a Life. You may not have heard about it but basically nobody noticed when 40 year old Joyce Vincent died in her apartment in North London in 2003. Her body wasn’t discovered for three years, surrounded by Christmas presents she had been wrapping, and with the TV still on. It’s scary to think how alone it is possible to be isn’t it? Absolutely but alone can simply be a state of mind you know. It doesn't have to necessarily mean you have no one to hang out with or no one is ringing you up on a friday night. You could have what seems like the perfect life and the perfect social circle, but you could be alone in your mind or just feel alien to the world. I've had dark moments in my life where I have felt very alone. But I am a bit of an absurdist, and I think that comes through when I set my lonely dark tunes to happy major chords and a swingin' beat. How cathartic is it to exorcise dark feelings from yourself with songs like 'Angel'? "Exorcise" is definitely the right word. Let's just say I am glad to "possess" the ability to exorcise my demons. Otherwise I'd end up letting certain vices get the better of me. I was only thinking the other day that music shows on television are few and far between these days but with youtube the music video itself is more important than ever? Would you agree? Do you enjoy making music videos? Yes I'd agree with that. I enjoy it especially when I get to do fun things like visit New Orleans and take a trip to the swamp and kiss baby alligators. What does Frida Kahlo mean to you? 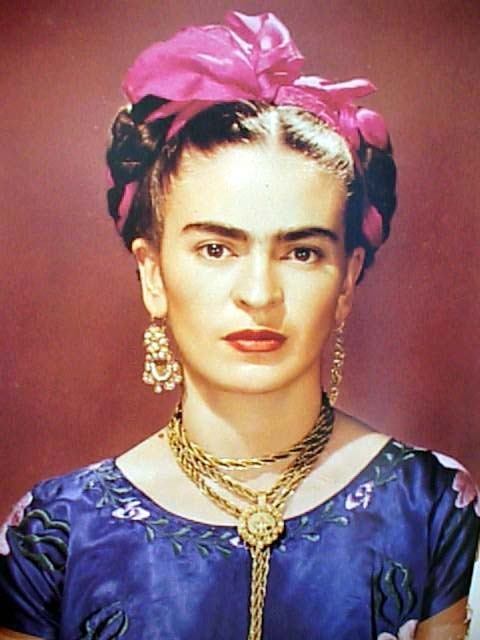 Frida is a woman I look up to. A role model of sorts. I love her strength in the face of adversity and her pride in her mexican roots and her deep passion for her muse Diego Rivera and her love of painting. Polio, traffic accidents, tumultuous marriage to another famous painter, revolution. I am sure she would have written one hell of a country record given the chance couldn’t she? Will you get a chance to pop in to the Diego Rivera (Kahlo's husband) exhibit in the same museum (on display until May 14th, 2012) or is it just Kahlo that interests you? I wish I had time to to do things like this but my tour schedule is so crazy these days I think I may miss it. But if I'm ever in a city where its going on and I have time to explore then thats an exhibit I would love to see. Was it surreal touring with Kevin Costner? Yes. Dances with Wolves is one of my favourite movies! Can you imagine going on tour with the guy from Dances with Wolves!? Nope! Was it as surreal as hearing the remix of Major Lazer, Collie Buddz and you?! How random is that? Haha! I loved every second of it though! It was fun to think outside of the box for that one! Country is renowned for some famous duets such as Dolly and Kenny, Emmy Lou and Gram. If money, geographical location and mortality were no objects with who would you most like to duet? And what song would you choose? I would absolutely duet with Johnny Cash and we would cover the song 'Summer Wine'. Do you still sing backing vocals for Brandon Flowers? No I don't. He is back with The Killers and I am very busy with my own music. I never intended on being a back up singer, I just kinda fell into it. As grateful as I am for the experience an the opportunity, I don't have any desire to do back up singing again. I much prefer singing and performing my own songs. As a solo artist was it difficult/frustrating to slip from the fore to the background when shifting between solo and backing vocal duties? It was a little difficult, but I saw it all as a learning experience and thought it was important for me to know what it was like to be in the background and experience things from that perspective. A close friend of mine has always maintained that the closest genre of music to true country is metal as in no other genre do the words get so dark. Would you agree? I don't listen to enough metal to comment on that really. But I can say that, yes, the words do indeed get dark in country music. Johnny Cash's 'Murder Ballads' will give anyone a good glimpse into the dark side of country music. Maybe the difference is that country music is usually sung/performed in an upbeat fashion despite the heartbreak in the words. Look at your very own 'Little Lie' for example. Does it make it easier do you think to sing sad songs in this fashion? Well I think for me I just like the juxtaposition between happy beats with major chords and dark lyrics. There's a bit of an irony in that which makes it all seems so absurd. I am totally into it. 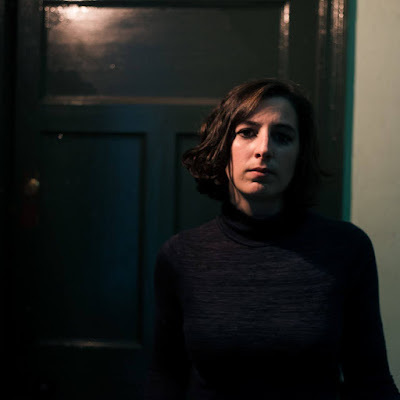 You played upstairs in Whelan’s last time and return to the Sugar Club which is ⅔ times the capacity. How good is it for your confidence to return to a foreign city knowing you are making progress? It's amazing. I can't believe it! For someone like myself who has struggled for so many years in the music business its so very nice to be able to see progress happening and to know that the wheels are not spinning but there is forward motion! Just wonderful! Were you happy with the gig last time out? I was very happy! Everyone was so nice. It was a lovely crowd! 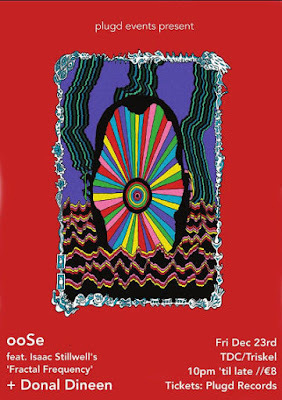 One of my favourite shows of the last UK and Ireland tour. 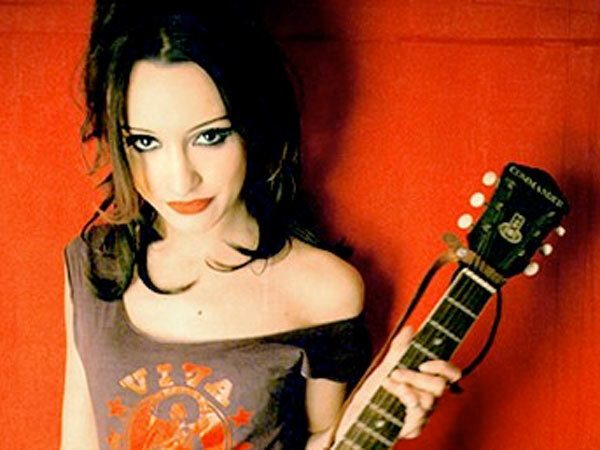 What is the plan for Lindi Ortega in 2012? Another record and tour tour tour! I ask everyone this. Ever played the animal game before? (Basically you begin with one letter, eg. 'T', and everyone has to name an animal beginning with this letter. The person who cannot name an animal beginning with 't' loses one life). The easy animals such as 'turtle' are always taken quite early so can ye give me a rare animal beginning with 't' that I can use as back up for the next time I play the game myself? A tic. Gross lil' things but surely it wont be the first thing to come to someone's mind!